Sketching smaller elements of a bigger picture meant I could get my sketchbook out frequently as I wasn’t overwhelmed with trying to sketch entire scenes in front of me. Scribbling little notes is something I never did but read it really adds to your sketches and now I know it certainly does! 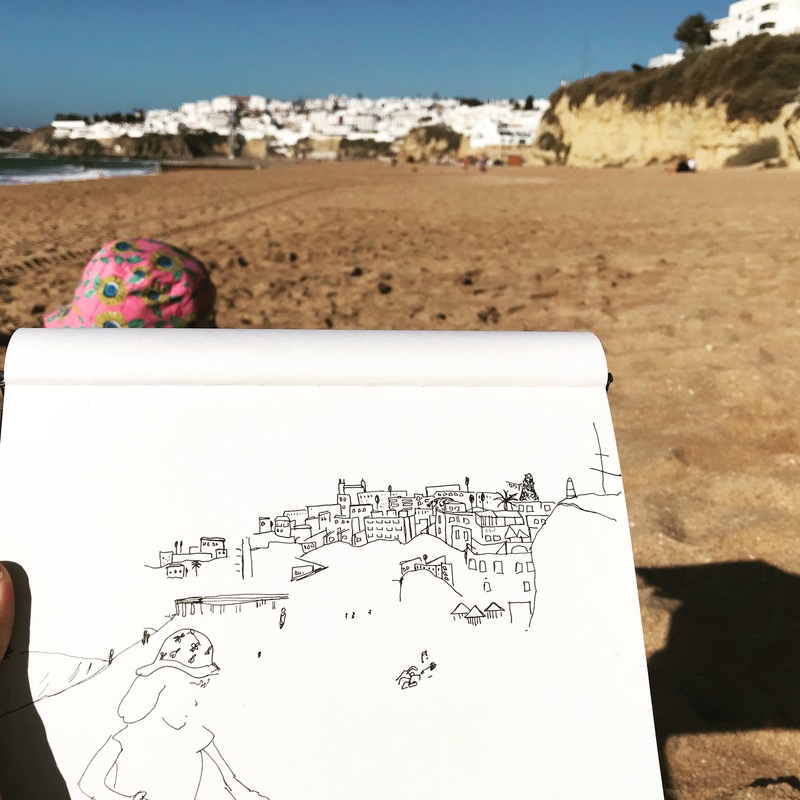 Writing small details including date and location helps you to recall more memories when you look back at sketches and makes it more personal to you. 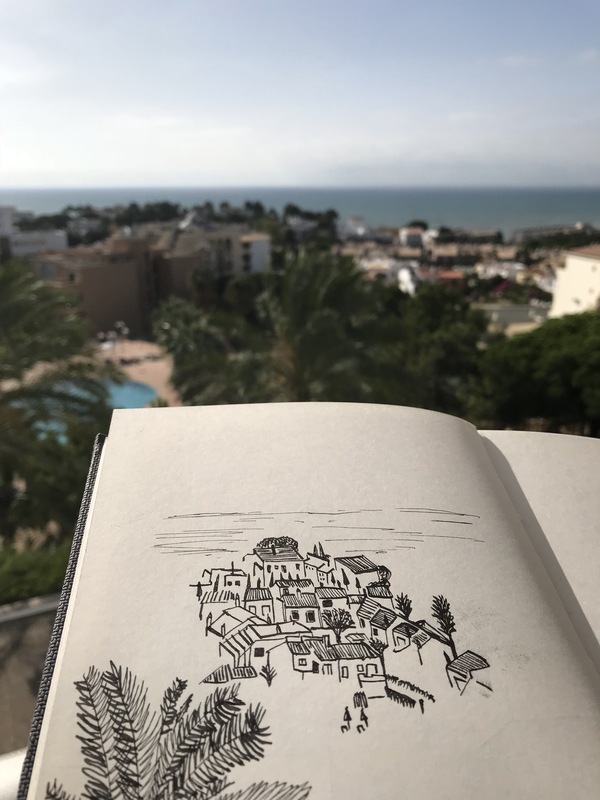 Using a view-finder to frame your sketch beforehand really helps you to focus. I treated myself to yet another pen – a ‘Lamy Joy’ and I wished I brought this pen years ago as it is an absolute joy to draw with! I also promised myself no more pen buying and to sketch with the tools I have (I will try really hard!). Most importantly and the reason why I enjoy sketching is it allows me to be present and enjoy the moment fully. Sketching helps the thinking mind to be silent even for few seconds whilst the only focus in the world is holding my pen and marking a line in my sketchbook.